High altitude wilderness has its own uniquely self-eluding charm, one that held me in awe. This was the reason why I chose to start the year 2009 with a visit to Zanskar Valley. The Himalayan valley is one of the remotest in India, and can be reached by road only during the summer. I’ve always thought of planning a road trip to the barren yet beautiful landscape of Leh, but not this time – I flew down instead from New Delhi to Leh to save time. Most people prefer to fly to Leh to reach Zanskar because of the altitude and the scenic vistas and not to mention the fact that you will get to fly over the Himalayan Ranges. If not for the comfort and ease of transportation, I was more than willing to fork out the extra money for the stunning views from above the sky. As I walked out of the plane at an altitude of 11,500 feet above sea level, the first thing that caught my eye was the seemingly endless horizon filled with blinding whiteness. It started to drizzle a bit as I made my way towards the visitor centre, where I was greeted by a Tibetan with deep wrinkles and a large smile. He introduced himself as Chawang, and he was to be my guide for the trip to Zanskar Valley. If you don’t have a guide for your trip then it might be a problem because to reach Zanskar, you need to cross over from Ladakh to Kashmir and back to Ladakh. There are several military checkpoints en-route which can be quite a headache. Another thing to note is that foreigners need a proper permit while traveling to some of the areas in Leh and Jammu and Kashmir – your guide can easily take care of that. 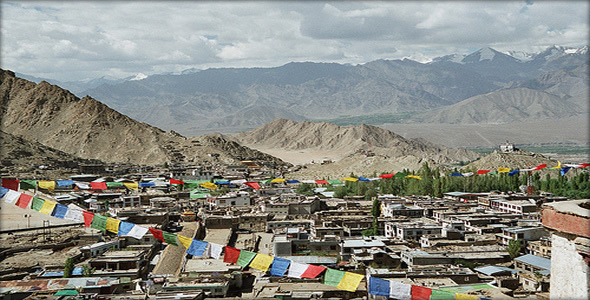 Leh is a small town surrounded by the Ladakh Range on one side and the Zanskar Range on the other. Except for the Leh Palace, there are no attractions in the city. You can take a walk through the city, relax, and acclimatize. If you plan to stay in Leh for longer duration then you can pay a visit to some of the further attractions from Leh, such as the Thikse Monastery, Pangong Tso, Tso Moriri Lake, and Khardung La Pass. Early in the morning the next day, we made our way towards Zanskar Valley. To get to the valley the plan was to drive 234 kilometers through deep gorges, snow capped peaks and landslide zones towards Kargil, a halfway stop where we will spend the night and rest up. The next morning, we’ll drive the next 220km through from Kargil via Rangdum and Penzi La Pass towards Zangla. In the morning light, the picture perfect scenery was simply unforgettable. A beautiful river snaked along snow capped mountains, with the imposing structure of Rangdum monastery bringing color into the barren landscape at the valley floors. The Rangdum Gompa, located some 7km from the Rangdum Valley, is perched on a hill offering a spectacular views of the nearby mountains and glaciers. This stunning monastery was established in the early 18th century and is home to around 40 monks. Next morning, we started off early with a 27km ascent to Pensi La Pass and were greeted by two huge glaciers that feed the Suru River and two charismatic high altitude lakes. A perfect picnic spot! After a small photo session, we moved ahead and closer to the famous Drang Drung glacier, which is the largest in Ladakh region. It is a long winding river of snow and ice with the Z3 peak in the background. The Glacier is the source of the Stod River, which joins the Tsarap River in Padum to form the mighty Zanskar River. From this point, we descended more into the Zanskar valley to Sani. We crossed Padun by mid-day, and after a brief lunch hurried on to Zangla before sunset. After approximately 3-hour drive from Padum, we finally reached the Zanskar Valley, where I plan to stay for a good few days to enjoy the relaxing wilderness. 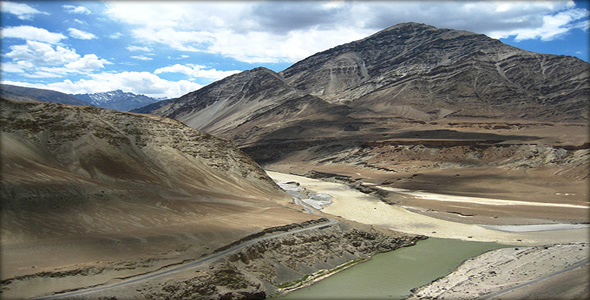 The Zanskar Valley trip is not an easy one because of the terrain, altitude, and weather. It is a good 10-day trip from Leh and back. If you have plenty of time and are looking for more adventures then some of the places you can visit include the Nubra Valley, Suru Valley, The Hemis National Park, Lamayuru Monastery, and the Markha Valley in the Ladakh Region.Unearthing Asia now offers travel packages throughout the region of Asia. Check out our promotional offers of Luxury Private Villas in Bali, perfect for Honeymooners or those looking for a little romance. We also have great offers for hotels in Singapore, resorts in Phuket and many more.